Proverbially, charity may well begin at home, but not for the upa government or its commerce and agriculture ministries. Why else would 10 lakh metric tonnes of non-basmati rice be exported to ‘needy’ African nations in 2008-09 when food secretaries of four states—Bihar, West Bengal, Assam and Chhattisgarh—were sending soses to the Centre seeking more rice for their public distribution system (PDS)? 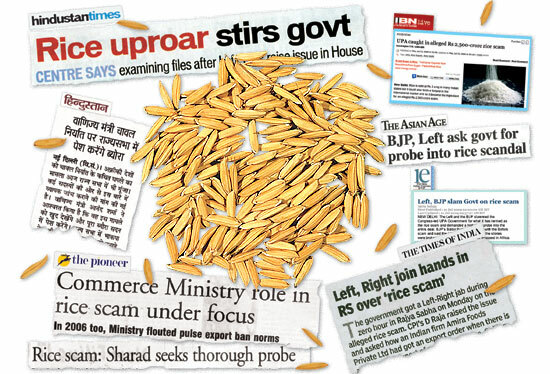 But far from heeding their pleas, the Centre actually facilitated the export (despite a ban on non-basmati rice from India being sold in the international market) of the grain by a clutch of private trading companies, resulting in a Rs 2,500-crore scam exposed by Outlook in its last issue (Whose Name on a Grain of Rice?). 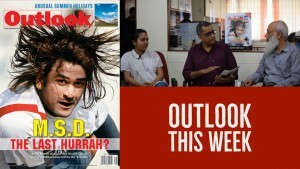 The exposé created a furore in Parliament, with D. Raja of the CPI and Balbir Punj of the BJP raising it in the Rajya Sabha and JD(U)’s Sharad Yadav asking for a CBI inquiry in the Lok Sabha. What incensed the MPs the most was the fact that the government allowed a select band of private companies to procure rice at cheap prices at home and make a killing in the international market at a time when there was a national shortage. The government has, in fact, admitted to discrepancies in export of non-basmati rice in court (see box). Outlook has sourced letters the state governments wrote to the Centre asking for urgent allocation of rice. Some had communicated their need as early as mid-2007. In the case of Bihar, both Chief Minister Nitish Kumar and chief secretary Jayamohan Pillai wrote seeking urgent intervention. 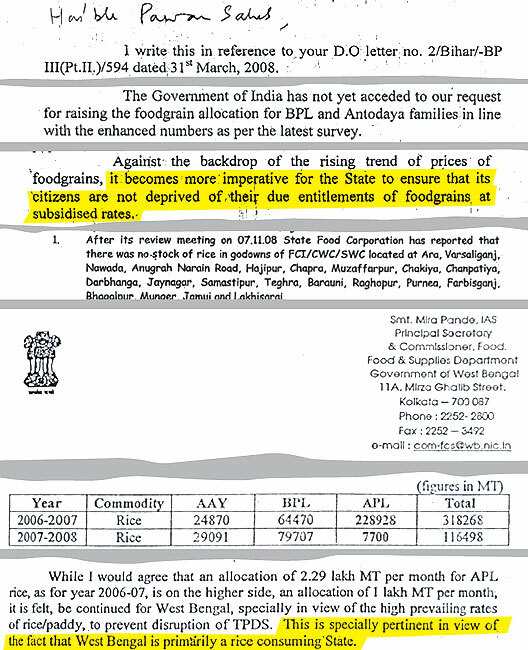 Nitish Kumar, in his letter of April 19, 2008, wrote that “scant allocation of foodgrains for APL (above poverty line) families will make it extremely difficult to distribute the same in any rational manner. Against the backdrop of the rising trend of foodgrain prices, it becomes more imperative for the state to ensure that its citizens are not deprived of their due entitlements of foodgrains at subsidised rates”. The Bihar chief secretary wrote again in November 2008, indicating there were no stocks of rice in the godowns of 18 districts and asked for it to be made available on time. 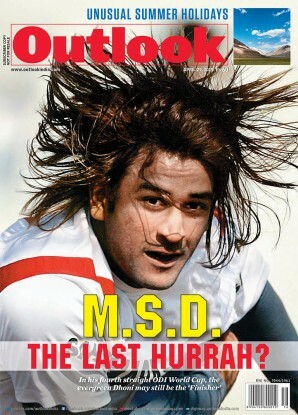 Bihar was not the only one complaining. West Bengal made a case for greater distribution of grains, as did Chhattisgarh. From West Bengal, it was the food secretary who in 2007 wrote asking for greater allocation, especially in view of the high prevailing rates of rice, hindering the functioning of the PDS. In the case of Chhattisgarh, it was the commissioners attached to the Supreme Court who highlighted the problems of reduced allocation of rice. “The reduction of APL quotas will deepen the regional imbalances in food security,” the commissioners reported. And though Kerala might not have put it in writing, the state too faced a shortfall of rice in the APL category. The state PDS minister, C. Divakaran, who met Union agriculture minister Sharad Pawar recently, says the state requires 40,000 MT per month but gets just 10,000 MT. “It seems the government is gradually cutting down rice in PDS outlets even as it talks about the right to food. But for whom?” he asks. Non-availability of foodgrains in state godowns usually means low per capita consumption in grain-deficit states of the country. A fact acknowledged by the Economic Survey when it notes that the per capita consumption has actually come down from 490 grams in the ’80s to 440 grams now. Add to this low calorie consumption and you know why the rates of malnutrition in the country are so high. Data from the National Sample Survey Organisation records 28 per cent of India’s population as below the poverty line and malnutrition is as high as 35 per cent in Bihar and Chhattisgarh. Under the Constitution, Article 21 guarantees the fundamental right to life and personal liberty which has to be read with the right to food—in short, it is the legal obligation of the government to provide subsidised food for the poor. But what does one do when the government ignores shortages in its own country and forces 10 lakh metric tonnes on African nations it identifies as needy, just so that a few private players can make easy moolah? Despair.